Earlier this fall the Duke Center for Science Education announced a small grant ($500-$1500) competition for student teams to work on hands-on activities for 4th through 10th graders. Joy Stanistreet (PhD student), Sean Stanton (MEM Student) and I along with our faculty mentor Dr. David Johnston got together with local teacher Mrs. Jennifer Coggins from Morehead City Middle School to come up with a plan… and… We are all pleased to announce that we were successful! We received word from the Center Executive Director Chris Adamczyk yesterday that we were awarded a $1500 outreach grant! 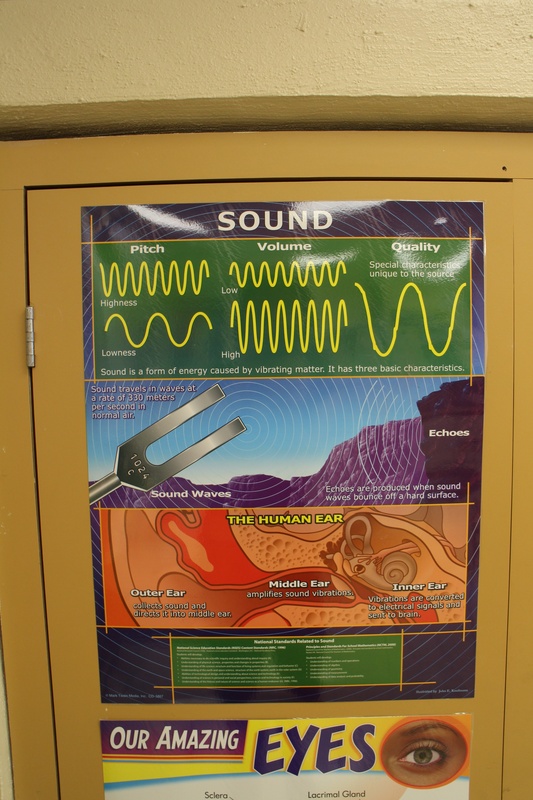 A major part of the 6th grade curriculum in the State of North Carolina is about sound. In fact, I visited half of Mrs. Coggins’ and Mrs. Nancy Piner’s 6th grade class last week to talk about my research on spinner dolphin sound. Check out an article done about Girls in STEM fields in the Carteret News-Times complete with a picture from that visit here! When I first spoke to Mrs. Coggins about the opportunity to visit her 6th graders to show them how they can someday use the things they are learning in the classroom to study marine mammals, I mentioned the grant. And the rest is history. We got together to write the grant application and it seemed like a logical step to work on a proposal to develop activities and materials about marine mammals and sound, bring students to the marine lab to expand on their classroom knowledge and learn about marine mammal sound research and also to give them the opportunity to get out on the water and experience the sounds of their own “backyard.” We asked for funds to build a “hydrophone kit” that would be available for groups coming to the lab. We also asked for funding to get the entire Morehead City Middle School 6th grade class out on the water on the RV Susan Hudson making recordings and at the lab using the activities and materials we develop as a pilot group. The lasting products of this grant would be the hydrophone kit and all of the materials and activities we develop for the day, all revolved around “Sound in the Sea” with a focus on marine mammal sound. We hope to publish these activities in an iBook that would be available for teachers everywhere. Another lasting product is of course the relationship we are continuing to develop with local schools and teachers like Mrs. Coggins at Morehead City Middle School. So now the work begins! We will start to craft activities and put together the kit and all of the materials for the big day. We will also be hosting the Science Education Center’s Summer Science Sleuths summer camp in June. We are all really looking forward to interacting with all of the students and introducing them to “Sound in the Sea!” Who knows, maybe there’s a future marine mammal acoustician in the group! For more information about the proposal or if you are a student at the marine lab interested in helping with “Sound in the Sea,” please email Heather at hlh18@duke.edu.